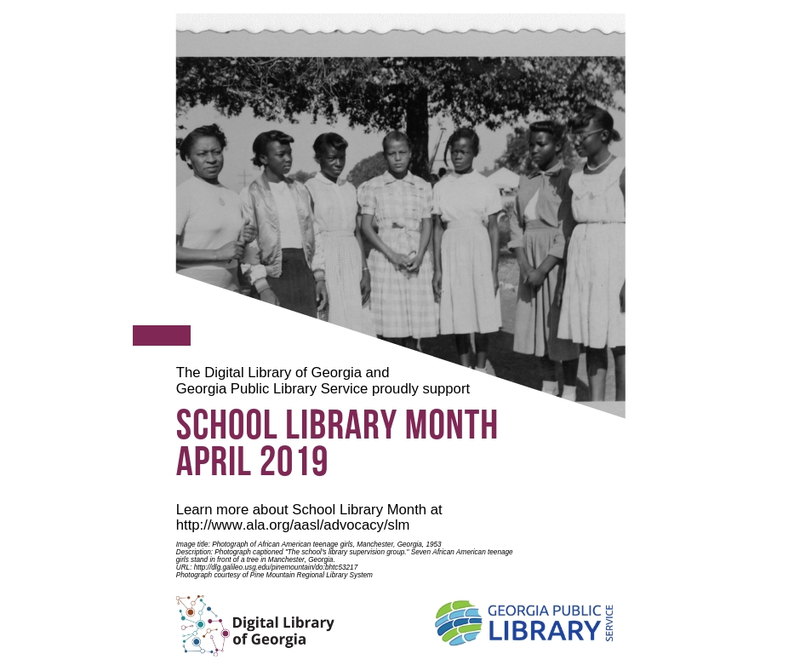 The Digital Library of Georgia and Georgia Public Library Service are pleased to provide a new, downloadable poster celebrating School Library Month 2019. 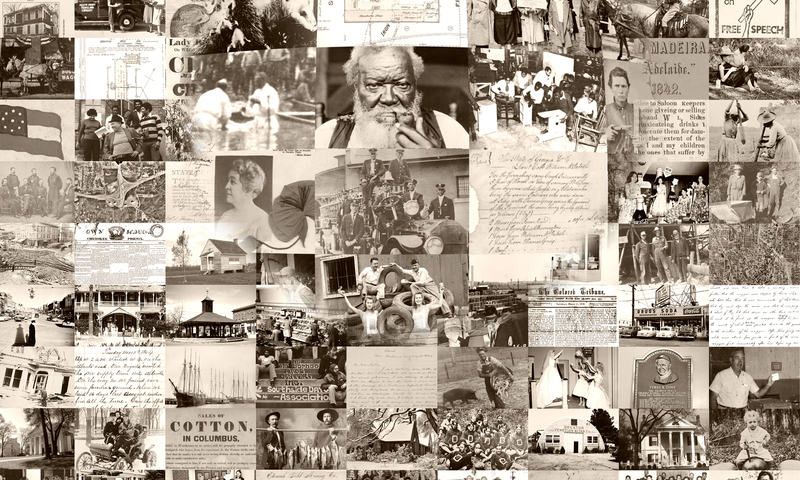 The poster is available at http://bit.ly/dlg-gpls-school-library-poster. The photograph featured in the poster, courtesy of Pine Mountain Regional Library System, features a group of African American teenage girls, who formed a local school library supervision group in Manchester, Georgia in 1953. School Library Month is AASL’s celebration of school librarians and their programs. The 2019 theme for School Library Month is “Everyone Belongs @ Your School Library” and the 2019 spokesperson is children’s book author and illustrator Dav Pilkey. The division of the American Library Association that advocates for school librarians and media specialists. The largest professional association in Georgia advocating for school librarians and media specialists. The Georgia Association of School Librarians seeks to bring together information professionals from all patron and student age groups to improve information literacy in Georgia. A big thank you to all of our school librarians for all of the work they do to manage school libraries and provide resources amidst changing school library environments!